Broadway: Rodgers and Hammerstein’s Cinderella; Memphis. Other Credits: Helen Hayes nomination for Oklahoma! (Will Parker) at Arena Stage, Yank! 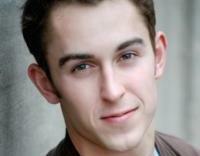 (Cohen) with Roundabout and Old Globe, Singin’ in the Rain (Cosmo), Atlanta Ballet, PCLO. CCM graduate.